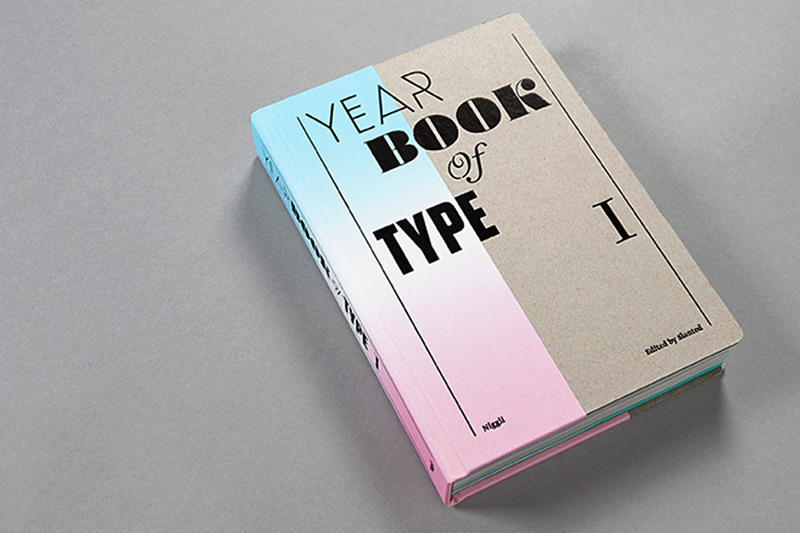 The Yearbook of Type No. 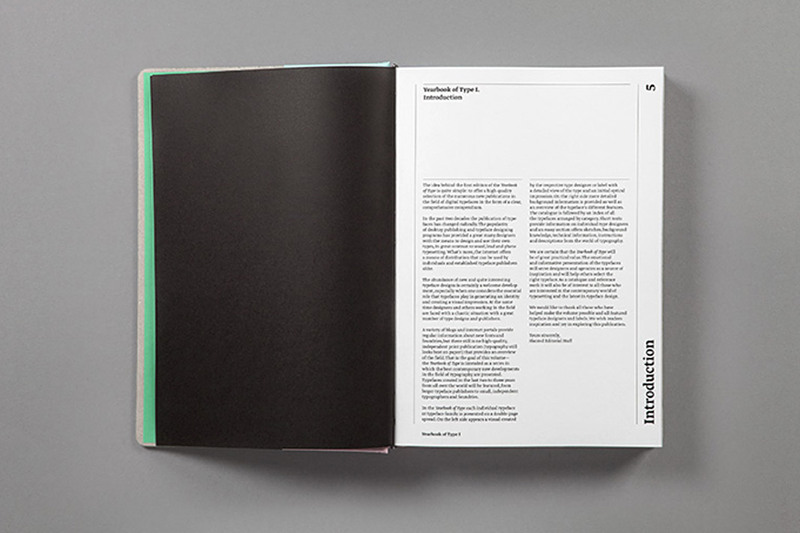 1 is an independent compendium of high quality typefaces published by the renowned Swiss publishing house Niggli. 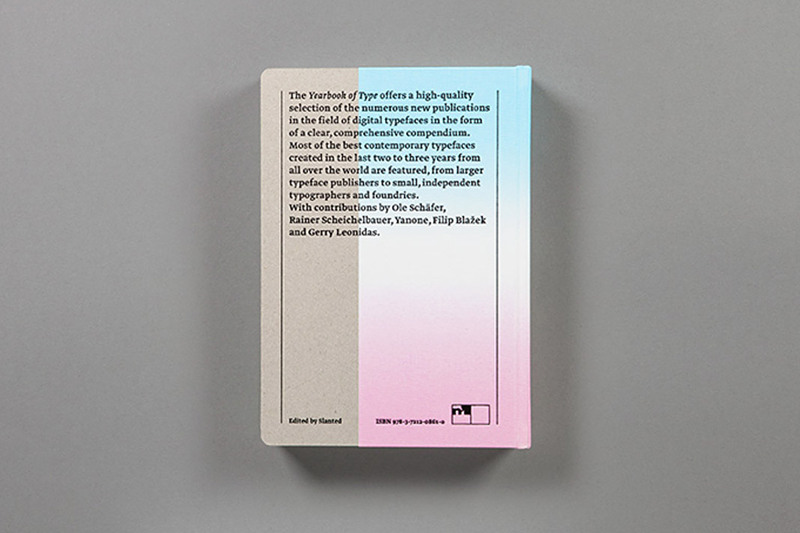 It presents a selection of more than 180 of the best contemporary type families on more than 450 pages. The selected typefaces come from all over the world and were released during the last three years. The type family Acorde is one of the selected typefaces. Due to its name (starting with an A) the double page spread presenting Acorde appears in the front part of the book. 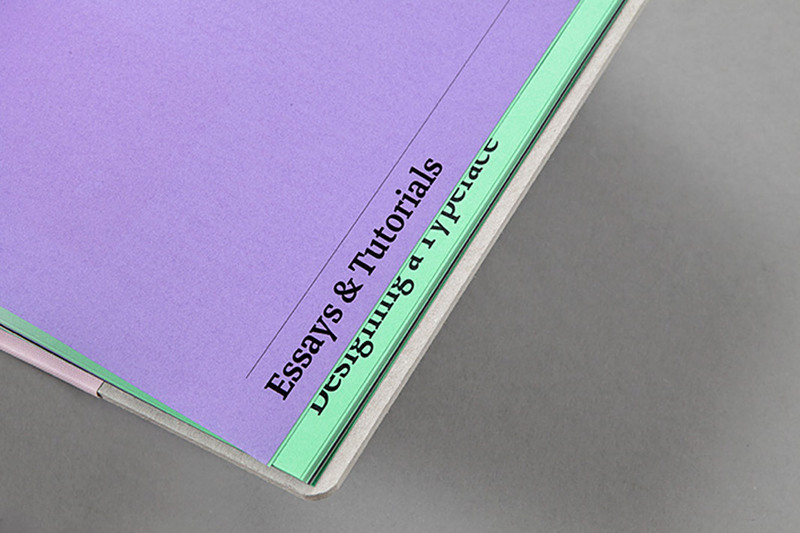 The cover of the first issue of Slanted’s Yearbook of Type. 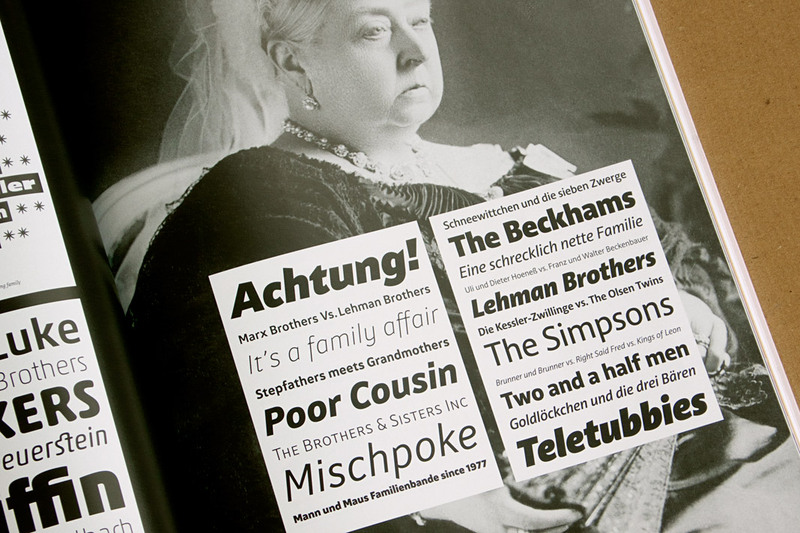 Various impressions of the first Yearbook of Type. The current issue of the quarterly magazine Slanted – Typografie & Grafik Design deals with large type families, so-called super families. Due to their wide range of different styles (various weights, as well as widths or optical sizes) they are able to perform a great variety of different tasks and provide the typographer with a huge set of tools to choose from. Acorde is one of the selected super families. It offers a large amount of different weights and was designed to be perfectly suited to all different sizes, from small continuous text to large headlines and big signage. Next to the presentation of the selected super families, the magazine also shows a large amount of family photographs taking the term super family literally. Pictures of families from various places as well as portraits of royal families. 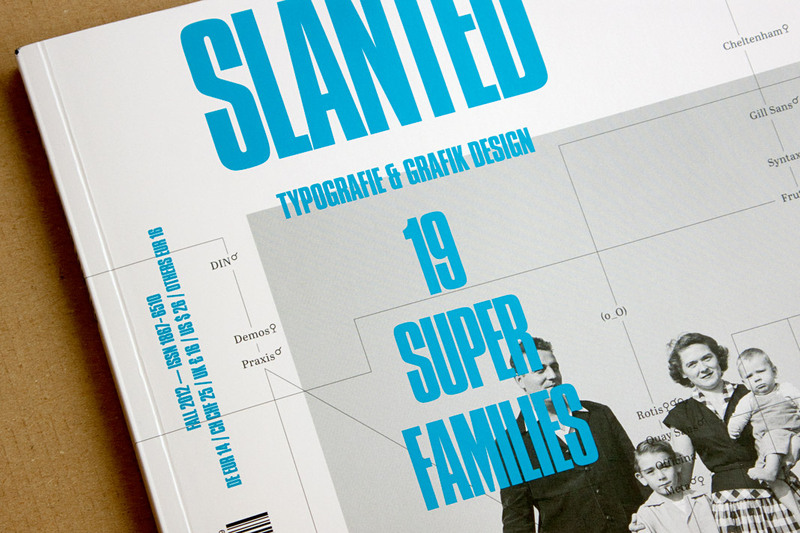 Cover of the current issue of the magazine Slanted focusing on super families. Royal family meets super family: Queen Victoria holds Acorde in her hands.